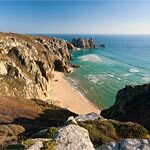 Owing to its location, jutting straight out into the Atlantic Ocean, Cornwall is a magnet for swell. 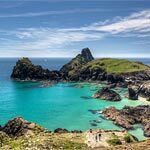 Combine this with its milder climate and a host of great beaches and you have the UK's surf capital. 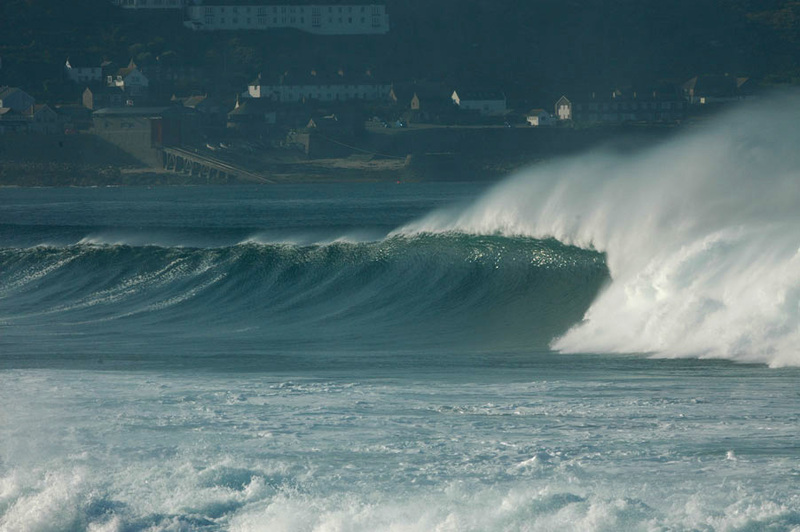 To further cement the county's reputation it is the location for one of the biggest pro-surf competitions in Europe. 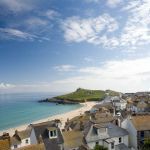 The Fistral Boardmasters (as it is currently known) has been running under various names for over 10 years, attracting some of the biggest names in the surfing world. 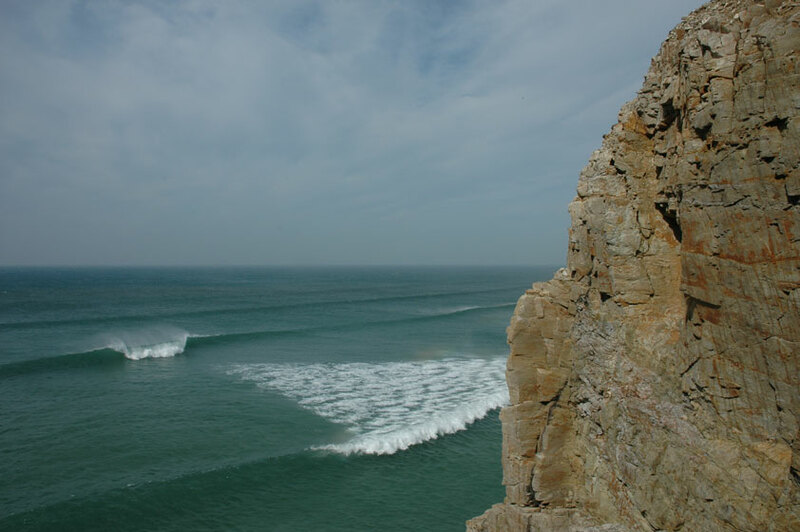 In theory you can surf at nearly every beach in Cornwall and there are surf spots that aren't even on the beaches. 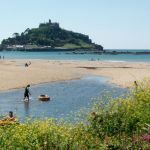 However, the most consistent and easily accessible tend to be on the beaches so we have listed some of the highlights below. 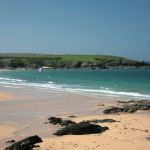 Gwithian has several factors in its favour. 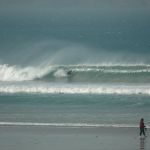 It is long so there's plenty of room for everyone plus it is fairly consistent and the waves vary in size along the beach. On the down side it is quite exposed to winds and anything west of due south is best left to the windsurfers. Perranporth beach is huge so the chances are given a bit of swell and an offshore wind you should be able to find something. 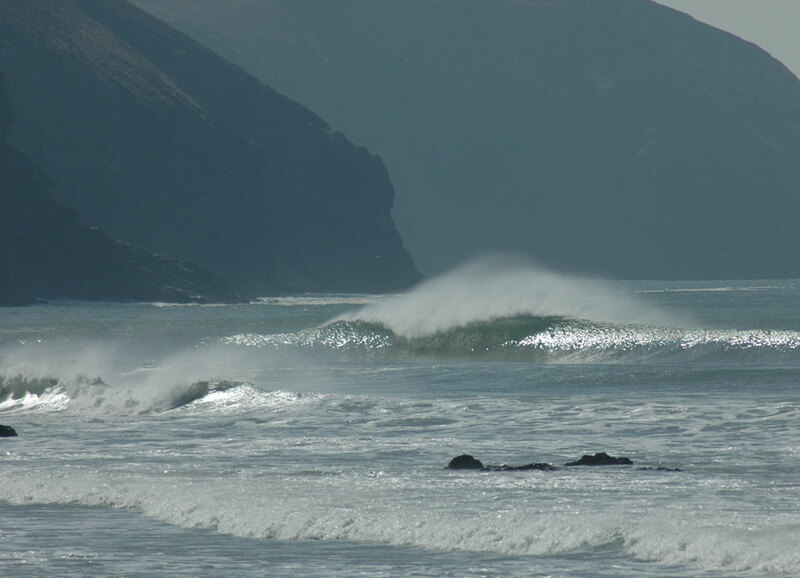 The Penhale end tends to have some of the best waves, but down in the corner is a bit of a local's spot - plus it is hard to get to. 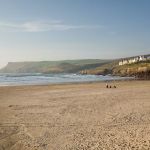 Due to its close proximity to Chelsea-by-the-sea, sorry, Rock, Polzeath attracts a higher class of surfers than most beaches. Unfortunately it does not really produce a higher class of wave! Owing to the gentle shelving and relatively sheltered aspect of the beach the waves here lack power. Ideal for beginners and posuers alike! 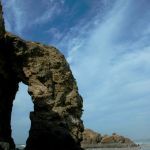 The 'Meor' can provide powerful hollow waves on its day but these are generally fairly few and far between as it doesn't pick up as much swell as most north coast beaches. On the plus side it faces almost due north so a typical SW wind is offshore. One of the best spots on the coast. 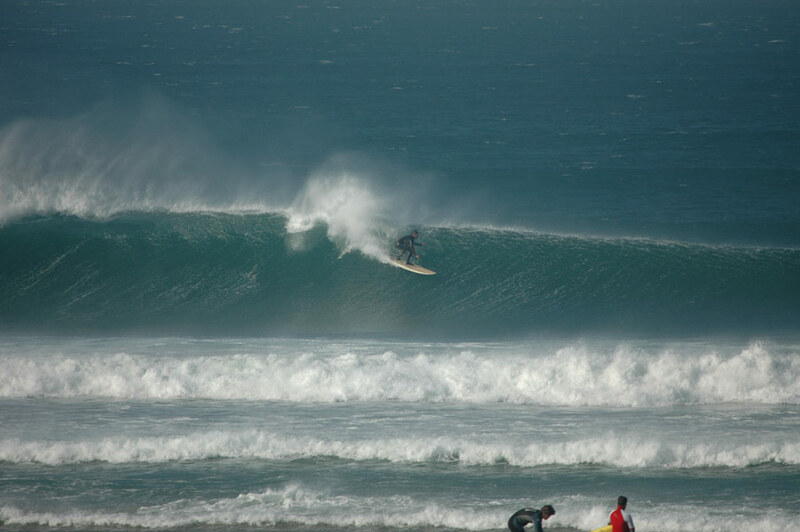 Porthtowan is picks up more swell than Gwithian and also packs a mighty punch. Waves here are fast, sucky and hollow on a good day. The south coast's best known spot - and unfortunately everyone knows it when the wind is northerly and there is a sniff of a south coast swell. Still it's a big beach. 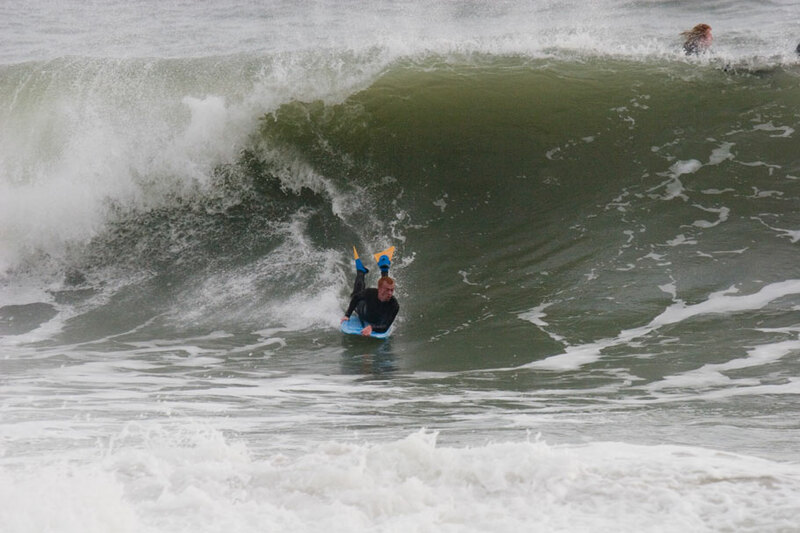 This spot is heavier than most on the north coast and often hollow. 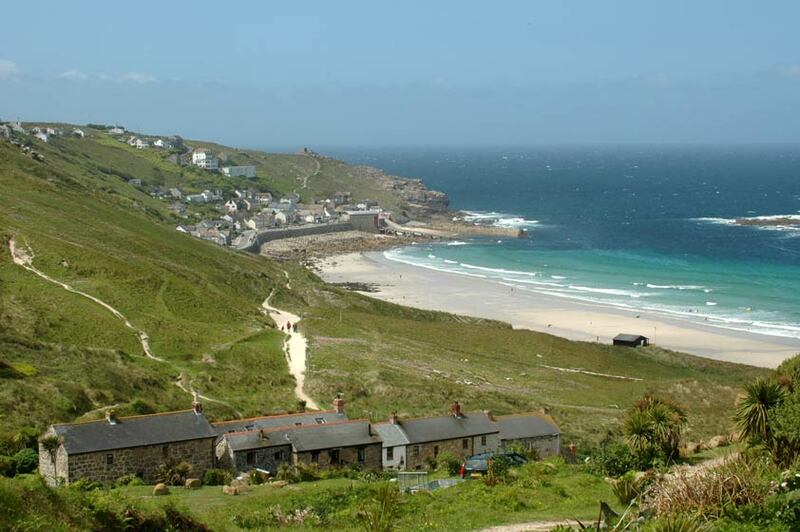 The most westerly beach in Cornwall and consequently one of the most exposed. 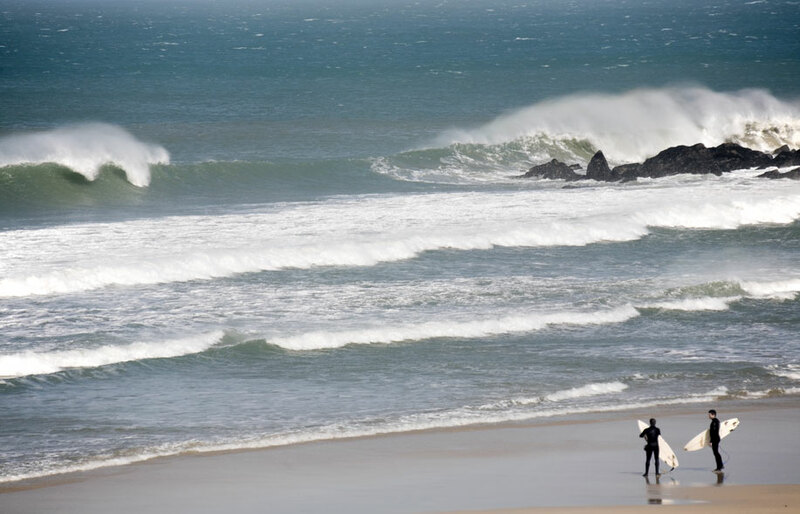 If Gwenver at the northern end is included then there is a wide range of conditions on offer, it can be 6ft at the northern end and 2ft in front of the car park. Also has the bonus of being OK on a south-westerly.